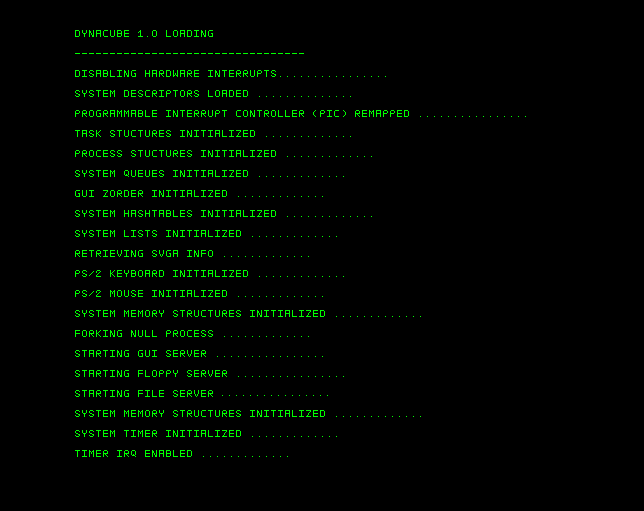 This screenshot shows the boot-up console output of Dynacube Operating System. 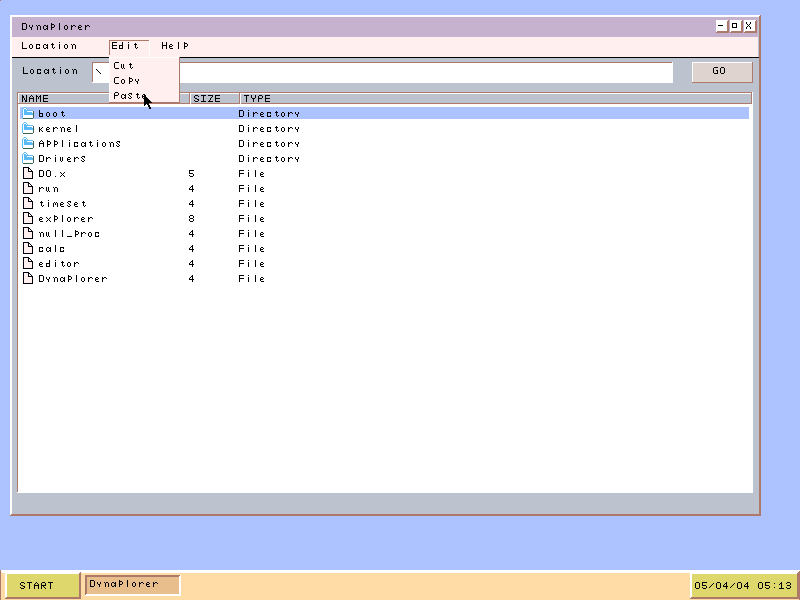 This screenshot shows the Dynaplorer (File Explorer) of Dynacube Operating System. This screenshot shows the Dynapad (Text Editor) of Dynacube Operating System. 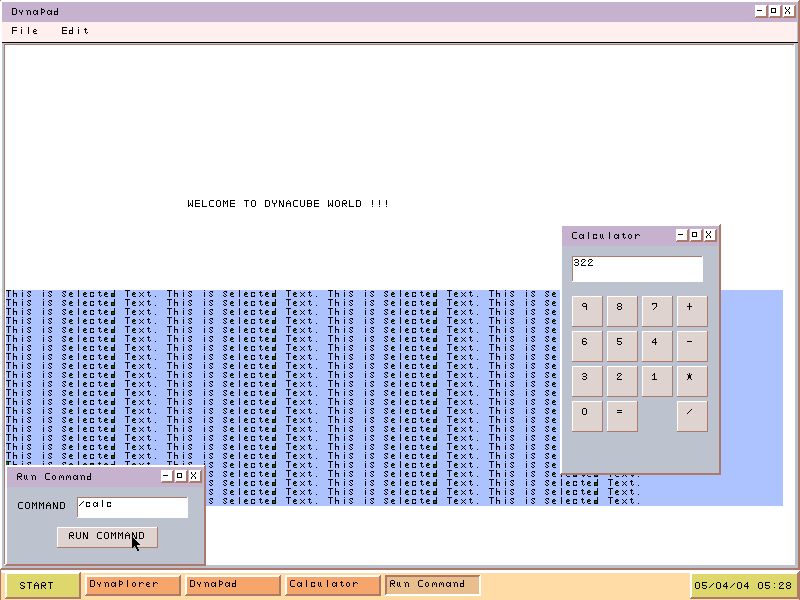 This screenshot shows the Dynacube calculator overlapped with other application windows. Last Updated : April 10, 2004.